Are you trying to build a Sales Funnel? Looking to build a sales funnel and don’t know where to start? We have been building sales funnels for years. To build an effective Sales funnel you need to follow a clear cut process identifying what the sales target is. of being virtually unknown when they started out. And everyone of them knows that nothing compares to the feeling of making the first sale. So your first hurdle is to create awareness about you and your product. What do Coke, Kleenex, Google or Escalator have in common? They’re the brands that own the market. They are perfect epitomes of brand awareness. Believe me, they too started from scratch. You may or you may not achieve this for your business, but hey, that doesn’t mean you can’t put in more efforts than they did and well, you have to start somewhere. Have to ever seen a male peacock courting a peahen? During courtship, the male shows of a dazzling display of shimmering and lustrous blue-green plumes. Trying to attract customers is just like trying to get into and build a relationship – you show the best of you, prove that you have something better to offer, gain their trust, keep the interest going, keep the conversation flowing, and yes, you have to shower them with love. Yes indeed, why should your prospective customer over a horde of competitors? In courtship, this question is best answered by your love interest. Likewise, give your potential customers a reason why they should choose you over others or why they should come to you instead of you seeking them out. At the end of the day, it’s really how you brand your business that matters. Beauty contestants go through the same pain of waiting for the judges’ verdict, so this is the moment of truth. The final countdown will show you how well you did the job. A lot of things can happen to your prospects at this point – sudden sickness, out of budget, job loss, etc., so don’t take it personally. Next. Whether it’s your first time to close a sale or a thousandth, the feeling of elation is still there. But is it the end of the funnel? It definitely costs more to acquire a new customer than retain an existing one, we all know that. Now retaining your customers depends largely on the quality of your product, service engagement, and of course, innovation. Courtship never ends after marriage, so why rest on your laurels? A marriage may bring in more children and stay happy or may result in a bitter divorce. Likewise, your customers can either become your brand promoter or your brand saboteurs. The best advertisement is still word of mouth, so unless your business is a fly by night, make every effort to establish a long lasting relationship with your customers. 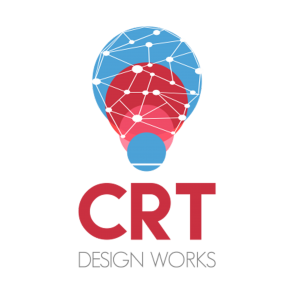 IT Support Brisbane & Medical IT brought to you by CRT Network Solutions. you ought to know who they are to qualify them and then lead them onto the desired path. If you understand your specific target, you can align everything – social media posts and ads, your website content, email campaigns, etc. – with your best prospects, thus addressing their individual needs and queries. They must have the need for your products/services now or in the near future. Of course you don’t sell cakes to diabetics or those who are trying to lose weight. They must have the money to buy your products/services. No matter how good you are, you can never sell to someone who can’t afford what you have to offer. They must hold the power to decide. Who would you speak to, the purchasing officer or the accountant? The one mistake that a lot of fledgling sellers make is assuming people would care about their products if they shove a piece of paper into their hands. You need a qualifier that can help you narrow down your prospects and so save precious resources. Qualifying is rather easy. You can use polls, surveys or simply get people talking to reveal what their needs and desires are. Or you facilitate a product and promote it to the right audience. There are many ways to skin a cat, so to speak, as there are many ways to lure your prospects. If your business is online, blogging creates awareness for your brand; use the right keywords to attract the right prospects from organic searches. Posting your articles on social media further brings traffic to your website. You can also use lead magnets – freebies, service or value – that can create demand for your product. Videos and webinars can get your message across and convince your prospects to try your products/services. Paid ads and Affiliate marketing can also help boost your sales. And then there’s the age-old proven way to attract more customers: the email campaign. Explore many other possibilities and don’t hesitate to use tools that can save you a lot of time, achieve optimum productivity, and improve your efficiency. If you don’t use sales acceleration tools and automated sales engagement, then you will eat your competitor’s dust. Sometimes, in order to move forward, you need to work backwards. In the same manner that reverse engineering has brought forth some cutting edge technology and science innovations, working backwards can yield the best results in establishing your sales funnel. To get the best results, you need to gather data and analyze them: do you have enough leads, prospects, engagements or sales? The first step is to determine your sales target. How much revenue do you aim to generate? Once you have set your goal, plan how to reach that goal. Next step is to examine your past performance. Avoid repeating failures, and duplicate successes. Once you have determined the ratio of your closed deals against your opportunities, then you can figure out how much opportunities you’d be needing to multiply those wins, and what you need to do to generate more opportunities. Let’s say you had 3,000 leads in the past quarter and your closed deals was 1,000. That means your sales team won one out of every three opportunities. If you are targeting a 200% sales increase, that means you have to increase your lead to 6,000 in order to achieve your goal. The best indicator for the future is past performance, so looking backwards is always a good strategy to establish your sales funnel.